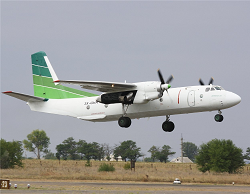 The cargo aircraft crashed under cunclear circumstances soon after it took off from Bujumbura International Airport in Burundi, killing all six crewmembers on board. 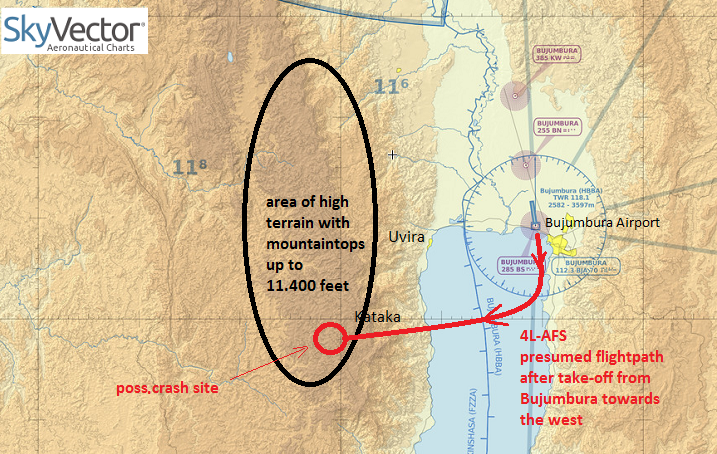 The crash site is situated about 25 kilometers from Uvira, close to the western shore of Lake Tanganyika. The aircraft was on the way from Entebbe, Uganda to Pointe Noire in Rep. Congo with planned en-route stop at Bujumbura. On Dec.30th, two Puma Helicopters of MONUSCO were sent to the crash site to evacuate the victims. It was cofirmed that there were no survivors. Identification of the aircraft is not officially confirmed and reported otherwise by congolese media though it is believed the aircraft is 4L-AFS.